A map of Amherst State Park and the surrounding area showing Federal Wetlands in the park. There are no DEC regulated wetlands in Amherst State Park. 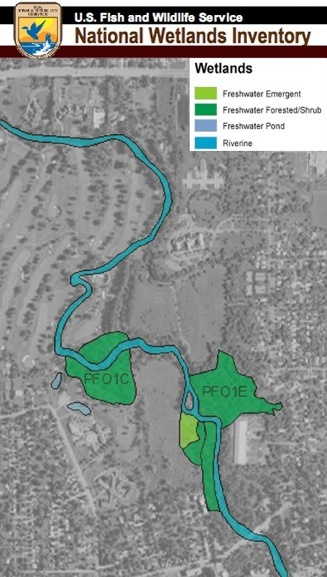 A map of Amherst State Park and the surrounding area showing the FEMA Floodplain in light blue. Notice that most of Amherst State Park is in the flood plain.